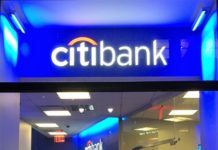 Banks Citibank Insane Targeted Offer for Sears Mastercard! Earn 11X TYP, Up To 99K! Insane Targeted Offer for Sears Mastercard! Earn 11X TYP, Up To 99K! Citi Sears Spending Offer: 11X TYP, Up To 99K! Sears has two versions of its credit card. One earns Shop Your Way Rewards and has 5%/3%/2% bonus categories. The other is a ThankYou Points earning card that only earns 1X everywhere. The latter is once again sending out a sweet targeted bonus. You can earn 11X on your spending, up to a total of 90,000 point bonus if maxing out this promotion. It offers 10X bonus ThankYou points in addition to the 1X the card normally earns. The bonus applies to purchases made at gas stations, grocery stores and restaurants. That’s for each month, from now till the end of the year. This promotion is not transferable. To qualify for this promotion, you must activate this promotion before the end of the promotional period. For total eligible purchases at gas stations, grocery stores and restaurants of $2,000 or more made each month 10/1/2018 – 12/31/2018 up to a total of 30,000 Bonus Points each month. These Bonus ThankYou Points are in addition to the 1 ThankYou Point per $1 spent on purchases that you already earn with your card. This is a sweet offer. You can earn 11X and the limit is pretty high at $3,000 spend per month. In this case I should be able to earn a total 99,000 ThankYou points without too much effort, especially with grocery stores and gas stations included. You just need to spend $3,000 each month, for three months. It’s also probably worth mentioning that these ThankYou points can be moved (up to 100K per year) into my ThankYou Premier or Prestige accounts where I can book airfare at 1.25 cents each or transfer them to travel partners. The Sears Mastercard has continued to impress with these amazing spending offers. This is probably the best offer I have seen. Check your bonuses for this quarter and let us know what offers you have! I don’t know much about this Sears card that earns TY points. I assume it’s not available for new signups anymore? I believe you apply for the regular Sears Mastercard and once approved, and after a few months product change to the TYP version. No need to change anything. Citi issues this Sears Mastercard and it is still available. At one time, eons ago, this was a store card managed entirely by Sears. Citi took over the back end and a few years ago phased out the Sears point system and replaced it with TYP. This offer is roughly the same as it was presented last quarter. There have been a number of these offers this year, with slightly different terms. Awesome – raining TY points!!! Do you receive these via regular mail or email? Thanks! My offers have always been by email. I don’t recall ever getting one of these offers by regular mail. I use Kroger for gift card purchases with this Sears card. How do the offers arrive? Email? I signed up for the carf back in July, still no offers. I think they can come by email or regular mail. Is it possible to change from he citi premier to this sears card?